The Economy Is Affecting A Lot Of Things! HERE’S A NEW SIGN FOR YOUR FRONT DOOR!!! 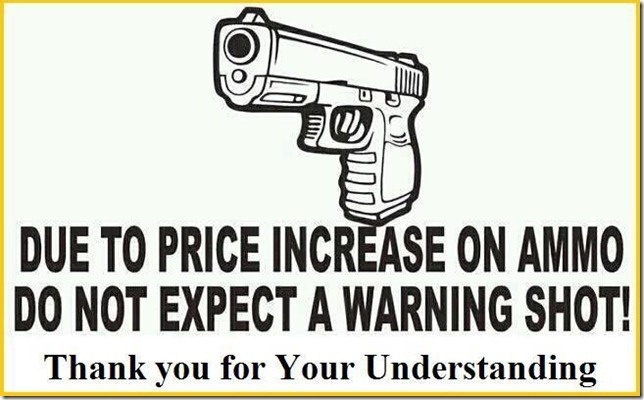 DUE TO THE PRICE INCREASE ON AMMO —— DO NOT EXPECT A WARNING SHOT! HOPE THIS HELPS DURING TIMES OF DIFFICULTY! !